Looking for a reliable Maintenance service company for a maintenance contract. Have used your company in the past for our air condition units which you installed for us. Our water heater is 10 years old and I'm interested in a pre-emptive replacement prior to it failing. Very much interested in a comparison quote of a std replacement vs. an on demand/tankless system. I can be available this Friday 12/21. I have an old oil boiler and radiators. i am looking to switch over to a propane system and to do so in accordance with the mass save initiatives and rebates. Gas boiler needs to be refilled 2x's daily. Inside temp is at 72. I talked to a plumber who said it sounded like a leak but then he never showed up for appt. I am looking for a plumber who can repair the temperature dial on my shower. It hasn't worked since I bought the house. Very quiet and no more black smoke and soot and heat going out my chimney! Great job - electric bill lower. ... Thank you for the great work you do!!! Rapidly completed the work, providing excellent professional service. Friendly capable technicians and office personnel. The technicians are knowledgable and professional. Always good, clean workmanship. The serviceman came very quickly and solved the problem in a few minutes. Deliver on commitments. Quick. Good work. Polite. Prompt service, explained everything clearly, very professional. Bernie told me that he was old school and stayed longer to clean my boiler. EVERYONE I CAME IN CONTACT WITH WAS PROFESSIONAL AND FRIENDLY AND HELPFUL. Bernie did a great job repairing my Warm Morning gas heater in my basement, and my new main home Goodman Heating and A/C Systems installed last March are the best! Great service, knowledgeable, courteous technicians. This was my first experience with you, and it went well enough to give a high mark. Patrick & Lisa N. Navasota Ave. Always treated in a professional manner. I forgot to mention Dylan in my last review (sorry!). He was very patient with my questions and I was very satisfied with his work. Once again, another great customer representative for Mark E. Meacham! Highly recommended! I was very impressed with Rebecca Gempp performance as your technician and representative. She was extremely professional and wonderful to work with. Just to reiterate, the service received by Rebecca was excellent I feel she is a great asset to Meacham. Angel was extremely professional and polite, and was immediately attentive to our needs, and exceeded our expectations! Thank you Angel! Becky was friendly, explained what she was going to do, efficient and neat. What a great professional. Dylan did a great job explaining things to me and in offering me the most economical service plan. The whole experience from initial contact to finish was great! Angel Miranda is the best service technician who has ever worked of us. He explains everything in clear detail and performs the work quietly and efficiently.He is most courteous and thoughtful and he ensures that we are satisfied thoroughly with his work before he leaves. 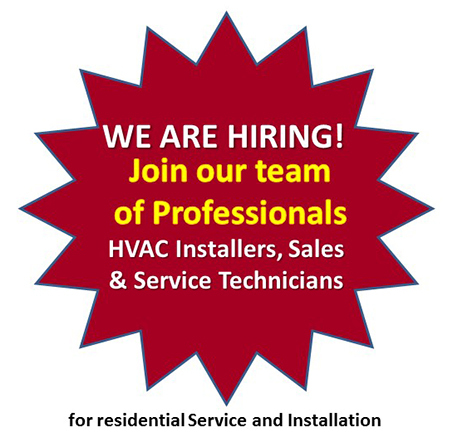 We recommend Angel highly to our near neighbors at Salisbury West Condominiums and anyone else who is looking for an exceptional man to do technical HVAC work. I recently had a new air conditioner installed and am very satisfied with it. When this problem occurred, I was uncertain whether or not this was caused by that installation but was assured that it had not caused it. I have been using this company for almost 10 years and have never been disappointed. We have already recommended Meacham Heating, Cooling & Energy Solutions to our neighbors - several of whom have already taken advantage of your services. Thank you for your service!Rebecca was terrific. She offered to answer any questions and was great at educating me. We were very pleased with the work that Angel provided. He explained the issues with the system, was very knowledgeable and helpful with maintenance recommendations. We would definitely want him to continue to service our system. Mr. Angel has made two service calls to our home. He isolate , appropriately sociable and very competent. You have a good man working for you. Mark was very polite and efficient. "Angel performed the annual inspection and cleaning of my..."
"Angel Miranda is the best service technician who has ever..."
"I recently had a new air conditioner installed and am very..."
Regular furnace service maintenance is very important, but it can easily be overlooked. Meacham Companies has a team of dedicated furnace service professionals that will perform inspections and tune-ups to always make sure your unit is working efficiently. Annual furnace service has been proven to improve home comfort, have your unit work more reliably, work more efficiently, and extends the life of your unit. Normal use of your furnace can result in wear and tear over time. These small issues can build up and lead to bigger issues which is why it’s so important to monitor the health of your unit. If you think you need a furnace repair of some sort because your unit has an issue call or click today. We have a staff of trained experts who specialize in furnace repair. We have decades of experience so we can identify furnace repair issues and also formulate solutions. If you believe you need furnace repair or other services contact us today! If your home's furnace is not working at all or it’s not working like it should you’re in the right place! At Meacham Companies, we specialize in furnace replacement and furnace installation, and we can help you keep your home comfortable all winter long. If you have a damaged or non-functioning furnace, we can help you get a fast replacement that fits your needs. For homeowners looking to upgrade an old or inefficient furnace we also have you covered. Our experts can recommend energy efficient systems that use a variety of fuel sources and perform the furnace installation in a timely manner. Meacham Companies is your one-stop-shop for all furnace installation needs. Over time all air conditioning units begin to break down and lose effectiveness. No matter what problem you may be facing the pros at Meacham Companies will have a solution that’s right for you and your home. Our local experts provide fast, affordable & effective air conditioning repair services for all types of air conditioning systems. Our trained professionals will quickly identify the air conditioning repairs that are needed to get your system running correctly. If you need air conditioning repair or service for your home, call us today at 1-855-212-6496 or click below to get started with a FREE air conditioning repair or service estimate! Here are some signs that your air conditioning unit may need to be replaced. Your existing unit is more than 7 years old. Your existing unit needs frequent repairs. You aren’t happy with the performance of your existing unit. Or you feel like it’s too expensive to run your unit. If any of these issues sound familiar in your home, your air conditioning unit most likely needs to be replaced. At Meacham Companies we have dedicated air conditioning installation professionals who can provide you with the air conditioning unit your family deserves. To learn more about our air conditioning installation service call or click today! Here is what our Worcester, MA Customers are saying about us. Need my boiler and central A/C unit to be serviced. Looking for a free estimate concerning ductless mini split installation. I am looking for an estimate for a new gas boiler and hot water system. Preferably something that meets a 90% - 95% efficiency. Options for a standard gas boiler and a gas combi setup will be appreciated. My current setup is an oil-converted gas unit. Looking to have this installed within the next month or earlier.